Our rubber ducks get noticed wherever they go!Many fun styles to chose from. 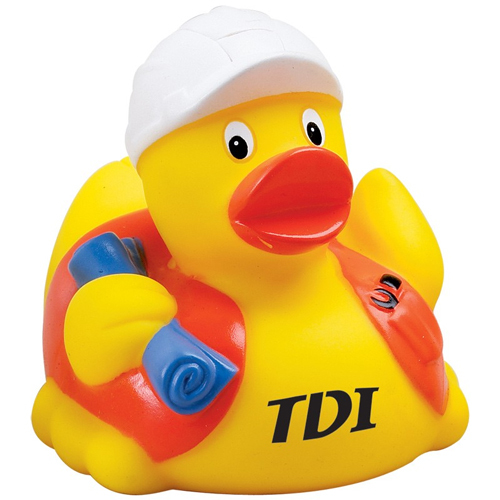 Squeaky rubber duck dressed as a construction worker in helmet and safety vest. Bulk / 11 lbs / 100 pcs. / 13 x 19 x 14box.